Whenever you face this issue in ABAP or JAVA system where your system is not starting up & dumping out by error “unable to create new native thread”. Please crosscheck the below OS values, this should be set to high/unlimited. after changing these values restart the application server & check. 3. Once component is identified then login into SAP Launchpad & search for any note related to the component with respective system release. 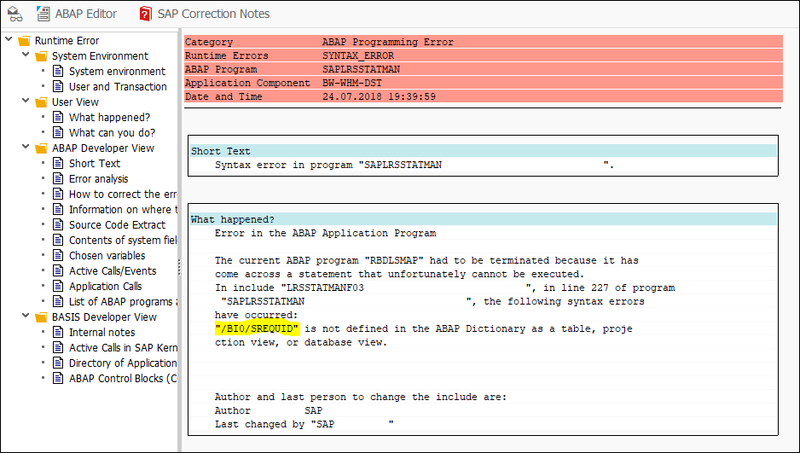 LOP runs as a program on the ABAP stack of the Solution Manager. It can be started automatically during system start-up. It can be scheduled to run as a batch job. SAP can access a system at customer side faster and even in times (e.g. night times or weekends) when it is difficult to reach contact persons at customer side or in case of serious problems. Communication costs can be reduced (e.g. when using an ISDN connection) as the network connection is only opened for the time needed. Customers can allow Semi Automatic Opening on system level for each system. Every time a service connection is opened, you are informed via email and the action is stored in the log book. 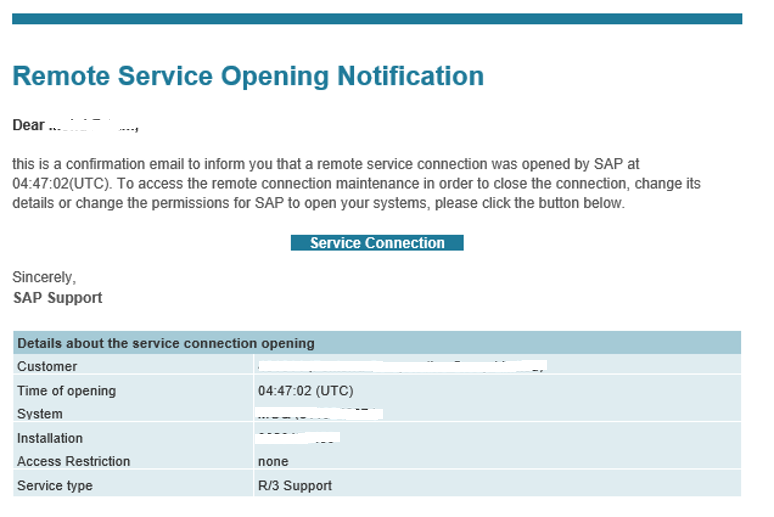 LOP uses https-requests to check periodically whether an opening request for one of your systems exists in SAP Service Marketplace. 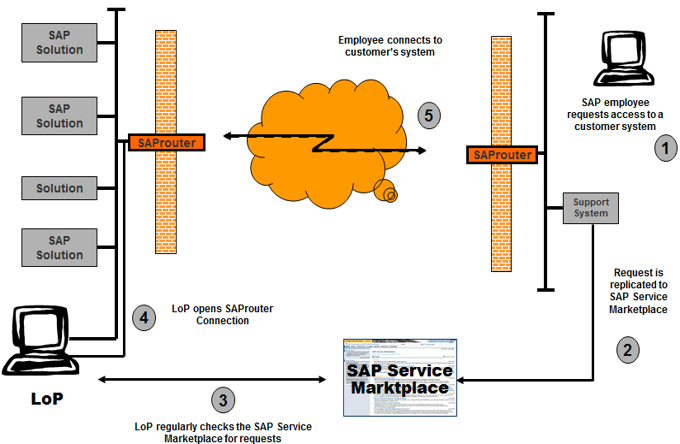 If an appropriate request is found the LOP opens the corresponding network connection between your SAProuter and SAP. To successfully set up and run the Line Opener Program some prerequisites must be fulfilled. Background Job should be running continuously & if cancel should schedule again to check for opening connection. Issue – DB13 Jobs(check DB & Update stats etc) are not running due to distributed installation. Solution – Requires SAP gateway on DB Host to run the SAPXPG RFC. As per SAP recommendation we requires to install SAP Standalone Gateway with new SID. 7. Successful installation will start the Gateway Service in host & Verify the same. 6. Set below parameters in Gateway ENV variable file – Verify SHELL = echo $SHELL & create a copy of existing ENV file & edit the same. Save the file, Log off & Login & verify the Environment Variables. 9. 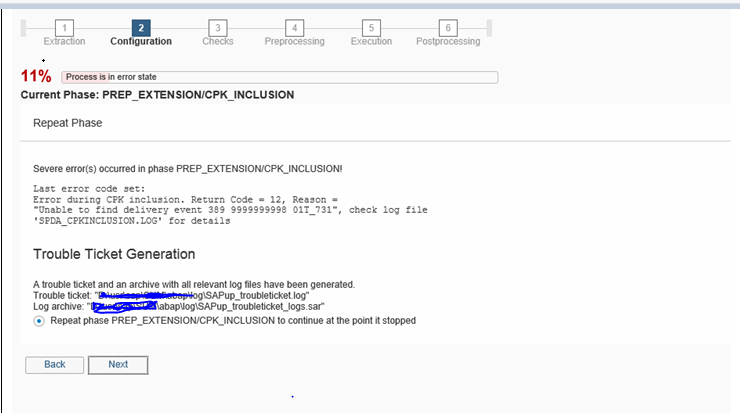 DB13 – Choose update optimizer statistics & check DB & run immediately to verify SAPXPG is connecting to DB successfully with correct authorizations. Generic error – it failed while starting the GW service in respective time frame, please crosscheck all the folders created in /usr/sap/GWSID & try to start the same directly from OS level. Please check SAP Gateway should be started & in running status. 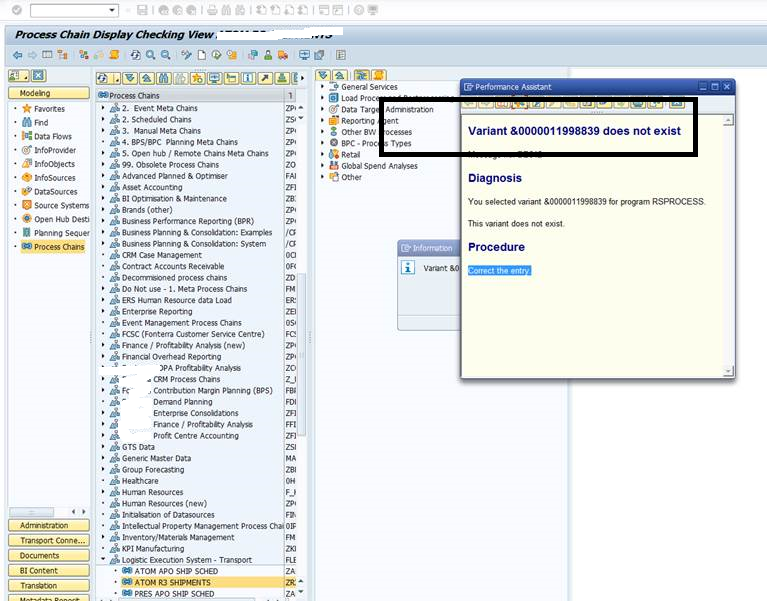 Please check the environment variables should be corrected & try to run BRCONNECT from OS level, sometime there will be issue at OPS$ mechanism, verify BRCONNECT from SAP user also. Please check the below ENV variable should exists for GW user.